We are a family business based in County Durham since 1994. 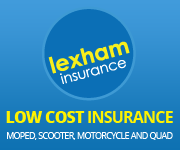 The aim of the business has been to provide a complete high quality service in protecting your motorcycle or scooter. Every customer is different and has different requirements. We are not tied to any particular manufacturer so provide a completely independant service. For alarms & immobilisers, alarms and for location devices we can provide a mobile fitting service at your door (subject to our NE England fitting area). With regards to Thatcham & Sold Secure Alarm & Immobiliser Systems I was one of the ten people who originally wrote the fitting standards for these systems which was subsequently adapted and accepted for Thatcham. A Range Of Products Only A Specialist Can Provide! Suppliers Of All Forms Of Motorcycle Security And Scooter Security From Disclocks, Chains, Garage Security, Covers, Anchors, Datatag, Alarm Transmitters, Alarm Batteries To Thatcham And Sold Secure Approved Items such as alarms and immobilisers. We Stock Items From Major Suppliers Such As Datatool, Meta, Optimate, Squire and others. We can supply a fully comprehensive package to protect your motorcycle or scooter whatever its size. Our Site Is Fully Secure For Online Purchasing. Download our free guide to Motorcycle & Scooter Security: CLICK HERE. RCMS Motorcycle and Scooter Security, run by motorcyclists for motorcyclists. If you need expert advice, tips or just a second unbiased opinion, give us a ring on 0191 3782142 or email us.Click Here. We Could Be The Difference Between Two Wheels And No Wheels!